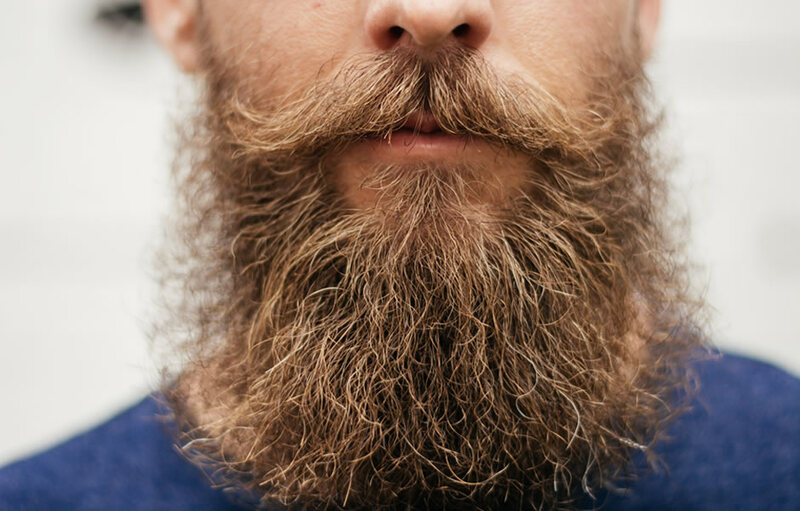 Once a beard gets a bit of length, shampoo and conditioner — especially if used every day — are too drying. I’ve found that conditioner often does more harm than good on a long beard. Instead, I’ve had to learn a new way of thinking about cleanliness and a new method of treating my beard that doesn’t strip it of it’s natural oils. It is best to run a comb, or if you are developing a bit of thickness to your beauty, perhaps using a brush will help get through the hair and massage the skin. In the past I had a lot of trouble with dry skin under the hair. This dry skin can lead to itchiness and what we like to refer to as ‘beard-druff’. As a result you will probably start to hate your beard, but in actual fact it is not the beard causing the problem, it is the lack of care. To get past this it is essential you take a few steps in maintaining that glorious growth and being proud of your man-hood. (1) Beard hair, like the hair on your head, requires nourishment. The first step you should take in combating dry skin or a limp beard is to drink water. Water helps replenish the skin, which in turn results in a thicker growth. (2) Comb, brush and comb and brush. Depending on the girth of your ‘monsta’ you have to get the tangles/knots out. This process also massages the skin underneath, removing any dry skin. At this point perhaps rinsing your baby slightly will help with cleanliness. (3) Using organic essential oils is a must in helping enrich not just the hair, but also the skin. Organic essential oils also have antiseptic and anti-bacterial behaviours as well as calming attributes. In saying all this though, do practice self restraint with your organic essential D+T Oil. They are potent so a little goes a long way. Allowing your skin to produce it’s own natural oils is also important in ensuring your beard looks full and healthy. Following this method, you can have your perfect beard + the better quality of life that comes with having a great beard you can be proud of. D + T Organic Beard Care is handcrafted using only the highest, premium quality essential and base oils. D+T Organic Beard Balm is 100% Vegan, 100% Organic.